Liane Crockett de Villiers-- It is the tense summer before the outbreak of World War II. She is crossing the Atlantic with her husband, the Ambassador of France, when she first meets Nick Burnham. The spark between Liane and Nick is instantaneous, yet not until a second crossing, when each is forced to flee France without spouse or family, will they confront the full power of their passion. 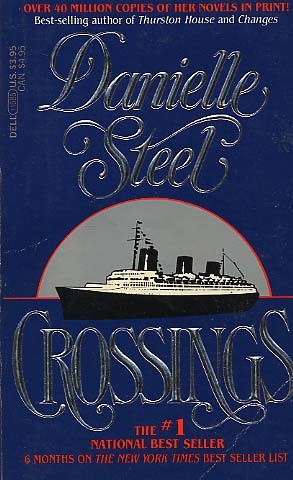 Moving between Paris, New York, and San Francisco, vividly portraying the events of the century's most turbulent decade, Danielle Steel tells the compelling story of a woman caught between conflicting passions and divided loyalties--a story that is full, passionate, and straight from the heart.